While in Canada, they will work long hours—which they want—and earn minimum wage, which averages about $11 an hour across the provinces. That’s “pay dirt” compared to minimum wage in Jamaica: about C$1.60. Indeed, they are the fortunate ones. As are their employers. Rene Schmitz is blunt about what would happen to his 40.5-hectare fruit and rose operation near Niagara-on-the-Lake, Ont., without the 12 Jamaicans who work for him. “I would have to grow different crops,” he says. “It’s as simple as that,” because Canadians won’t do the work. The same is true of Kroeker Farms, the largest potato farm in Manitoba and one of the largest organic vegetable produc-ers in Canada. This year, the Winkler-based farm, owned by a Mennonite family, employs 26 Mexicans through SAWP. They perform manual labour, primarily in the 1,400-hectare organic portion of the farm. The day I visited, they were bent over weeding a large field of onions. According to Wayne Rempel, Kroeker’s chief executive officer, and Ed Klassen, the head of human resources, the company’s organic operation would be forced to scale back without them. 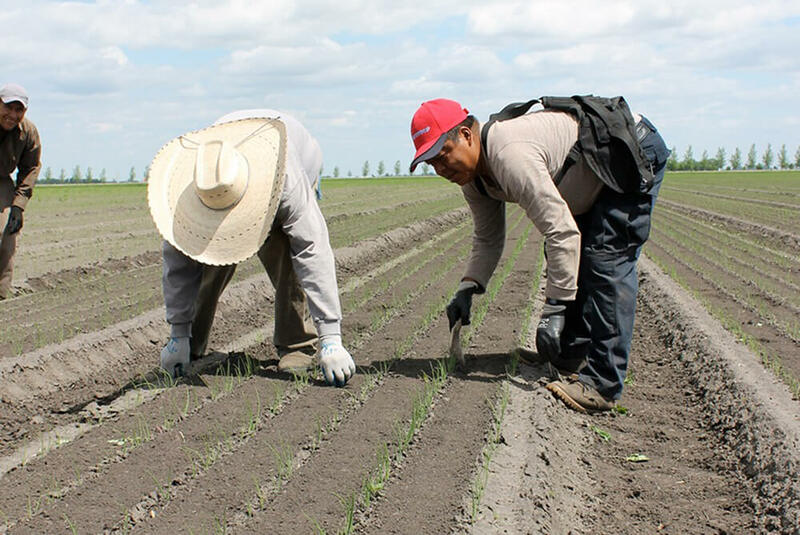 The 26 Mexicans do the work that 130 Canadians struggled to do—with high turnover and recruitment hassles—prior to Kroeker Farms joining SAWP three years ago. “We need them, and they need us,” says Rempel. Last year, a total of 30,579 SAWP workers came to Canada: 21,279 from Mexico, 7,713 from Jamaica, and the rest from other Caribbean nations. The program is in its 50th year. In many ways, SAWP is a perfect fit: Ideally suited workers from needy countries fill a seasonal niche labour shortage here. And Canadians get world-class peaches, onions and other products at affordable prices. Win, win, win. Unless you are the son back home who celebrates his birthday every year without his dad, or the wife who celebrates her anniversary over the phone. Some workers spend two-thirds of every year in Canada for two or more decades. The workers said their Canadian experience revolves almost solely around work. 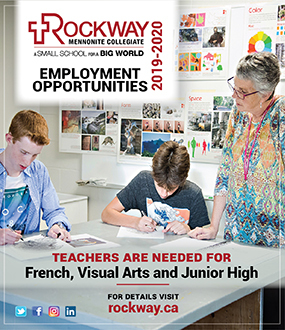 “Here, everything is work,” one told Dueck-Read. Most want long hours, but it takes its toll. Their indomitable work ethic—praised by employers—is partly a matter of necessity. Loneliness was another theme. Most said they make these sacrifices for the sake of family, often their children’s schooling. “We are a family people,” one man said, “and that is why we come.” Ironically, the jobs that help them provide for their families also take them away from their families. Yet they are the lucky ones, with many others lined up to take their place if they could. How do the employers feel about their workers being away from family? Schmitz pauses. Rempel hesitates. “That’s a tough one,” he says. “They pay that price,” Schmitz says. Kroeker Farms provides Internet access to improve workers’ contact with their families. Janzen Farms had SAWP workers from 1967, the second year of the program, until 2014, when the farm closed. All employers I spoke with noted, like Janzen, that the workers come voluntarily, often returning year after year. The defence of the program rests on this point. Dueck-Read puts that point into a broader context. Some of the men she spoke with talked about the dim economic realities in Mexico when discussing their motivation. Jamaican workers I spoke with informally also described their economic prospects at home in dismal terms. To some extent their “choice” is pushed on them by an unfortunate range of options. None of us would freely choose to leave family to do physical labour for 60 hours a week for minimum wage. “They pay a high price no matter how you slice it,” Schmitz says. They pay a high price so we don’t have to. Andres operates a bed and breakfast near Niagara-on-the-Lake, where she proudly serves and promotes local fruit and wine. She regularly visits the 43 farms nearby, many of which are owned by Mennonites. She knows the farmers and she knows hundreds of their Jamaican workers. It started in 2006 when she was asked to help with the music at an evening church service for the workers. Based on cautionary comments from other locals, she had previously avoided the men when she walked her dog or went to the grocery store, where the workers go in numbers on Thursday and Friday evenings. She thought there were 75 or 100 workers in the area, but she had nothing to do with them. That quickly changed after the evening service in 2006. She learned there were a couple thousand Jamaicans in the area, many living within walking distance of her home. She and her family learned to know them—men with warm hearts and deep faith. Music prep nights for the services turned into lively times of fellowship at the Andres’s home. Andres wants the SAWP workers—mostly Jamaicans in her area—to feel welcome. She wants them to know more of Canada than just work. She wants them to share Christian fellowship with Canadians. For 10 years she has helped organize a welcome concert. This past May, 800 people—workers and locals—gathered at Southridge Community Church in St. Catharines for a spirited, faith-filled event. While churches in the Niagara-on-the-Lake area have been slow to join Andres—with a few notable small-scale exceptions—Southridge has embraced Caribbean workers with both its Mennonite Brethren arms. When the church, which operates the largest homeless shelter in Niagara Region, branched out to Vineland five years ago, members wanted an “anchor cause.” Outreach to workers fit. That outreach includes cricket games, evening services, a health clinic and an outing to Niagara Falls. While a few church members had previous experience connecting with workers—particularly, local store owner Maryanne Schlabach—the more common response was: “How did I miss this?” Long-time residents had never thought to reach out to the workers. As Andres says, she had trained her eyes not to see. Tim Arnold, the outreach pastor at Southridge, tells me the church has worked hard to develop relationships with the farmers as well, a few of whom attend the church. His wife’s family owns a farm that employs SAWP workers. It’s delicate territory because anyone within the sphere of the program knows the stories of mistreatment. As two farmers noted, treatment is better at some farms than others. One referred to a former SAWP employer who “ruled by fear.” Some of the Manitoba workers complained of seldom, if ever, getting a day off, as required by law. In some cases, workers who have served a farm for 20 or 30 years receive not so much as a handshake upon retirement. Workers are at the mercy of their employers, who can send them home at any time or not invite them back. Many workers fear reporting health issues, raising concerns or talking to reporters lest they be blacklisted. Surely, those fears are not well founded in every case, but there are plenty of stories of workers whose SAWP careers end abruptly. Some employers are compassionate and conscientious, but there is limited protection or recourse for the employees of farmers who are not. The theoretical solution to the shortcomings of SAWP is global equality. People should be able to make a dignified living at home. On a more immediate scale, churches can train their eyes to see, and then reach out as neighbours, as Andres, Southridge and others have done. Somewhere in between global equity and neighbourliness is the option of providing SAWP workers a pathway to citizenship. In most cases, these workers do not meet the various criteria for citizenship, although Schmitz insists they are “specialists” and should be afforded the consideration other specialists are. Of course, not all would want to become Canadians, but many advocates believe that if the workers are good enough to do our work, they should be good enough to be our neighbours, permanently. In the meantime, the fortunate few from among the unfortunate many will continue to pick our peaches and weed our onions while their families back home await phone calls, wire transfers and the return of their loved ones. 1. What has been your experience with the Seasonal Agricultural Worker Program (SAWP) in Canada? 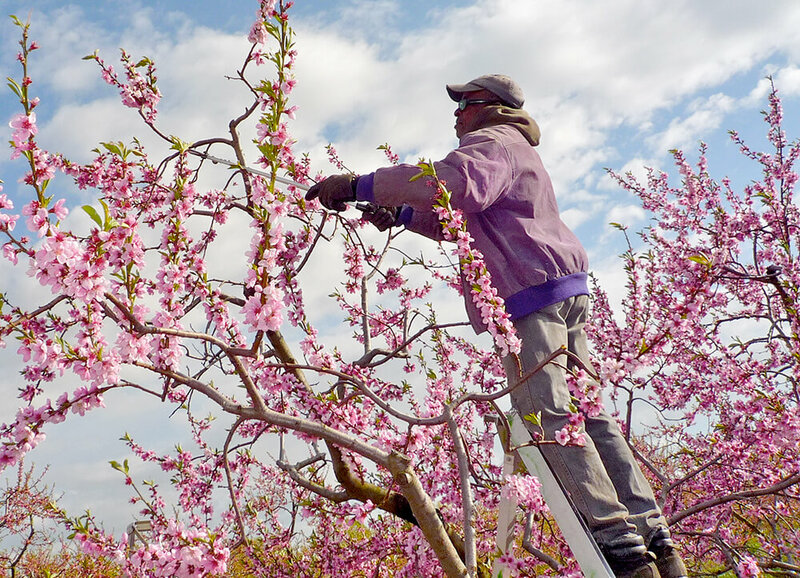 Have you personally met seasonal foreign workers or visited a farm that employs them? If you had a fruit farm, would you employ SAWP workers? 2. Will Braun refers to farmers who say they need the temporary seasonal workers because “Canadians won’t do the work.” How do you respond to these comments? If Canadians won’t do the work, what does that say about Canadians? 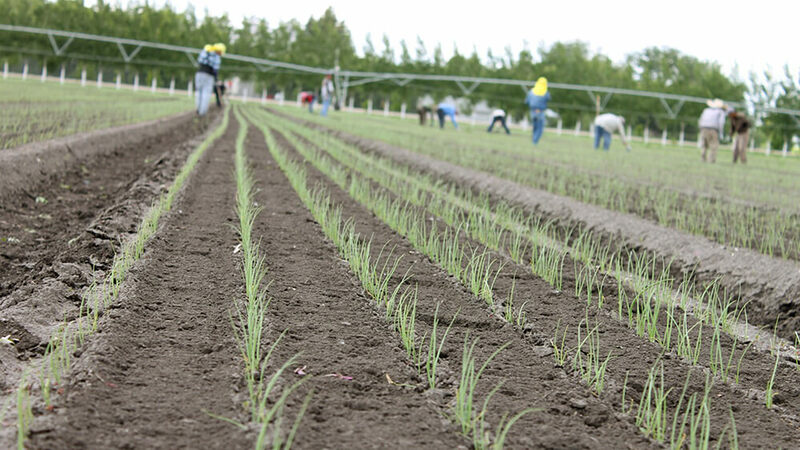 Under what conditions would you weed onions by hand? 3. How would your congregation respond if there were large numbers of SAWP workers in your community? To what extent are those who employ seasonal workers responsible to see that their needs are met? Should seasonal foreign workers have more control over safety and other working conditions? What does the Bible say about foreign workers? 4. Do you think that SAWP workers are being treated fairly in Canada? What changes would you make to the Seasonal Agricultural Worker Program?